Richmond is where your feet technically touch ground when you land at Vancouver International Airport. For years it was relegated to pass-through status for travelers headed elsewhere in the region…but this has actually worked in its favor. Unique, authentic cultures are always formed on the margins, and Richmond’s been busy perfecting its not-so-mainstream identity. The result in 2019 is a destination that stands alone. 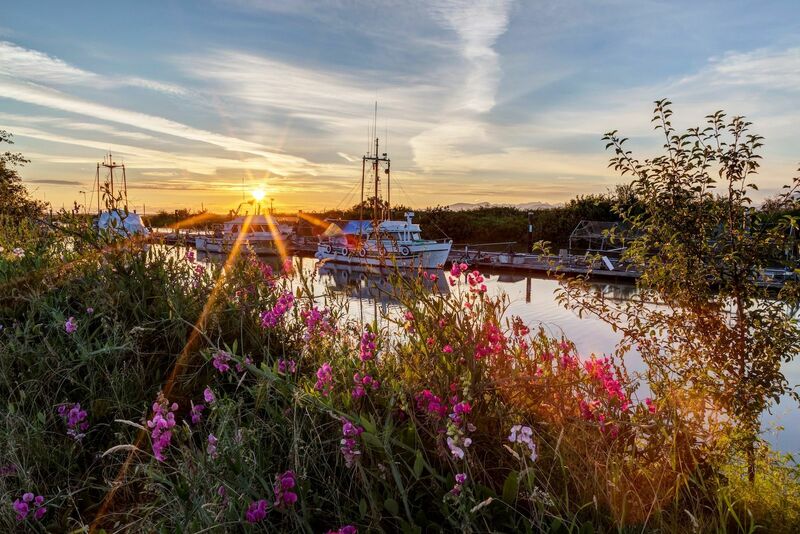 Once a quiet fishing village on the Fraser River delta, this island city has its own vibrant, international personality, visually distinct from its big brother to the north. Richmond marks the place on the map where the urban landscape gives way to the wild, where Pacific culture collides with Canadian charm, and where you can truly fall in love with BC for the first time — or all over again. Here are eight ways to do it. This guide is proudly produced in partnership with Tourism Richmond. Richmond is a place of discovery, so naturally it has plenty of activities for the whole family. You might ordinarily find it challenging to identify kid-friendly spots in an unfamiliar city, but in Richmond the only challenge is picking from the many options. Play tourist at the Richmond Olympic Oval. Here, you’ll learn about the Vancouver 2010 Winter Olympics, check out the interactive exhibits, and try the winter sports simulators. Take a break at Larry Berg Flight Path Park. This little park on Richmond’s Sea Island is, as its name suggests, right under the flight path at YVR. It’s great for a lunch stop or for the kids to burn off some jet-fueled energy. Who says kids have more fun? You’re better equipped to appreciate Richmond’s international foodie scene, jeweled blue-and-green landscapes, and adventures into the past on an adults-only trip. 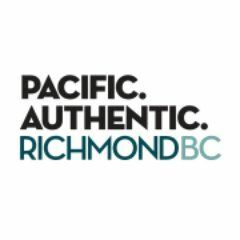 Play tourist at the Richmond Night Market, open May to October. This is the largest market of its kind in North America (! ), and it hosts more than 200 retail vendors, 100 food vendors, and scores of performers. Parking is free, but bring cash for the many vendors who don’t accept cards. Have a bite at Britannia Brewing Co. Their local seafood — and brunch — is as much of a draw as their ales (try the Adrift Hop Blonde). Intrigued by local libations? Don’t stop here — you can follow the entire Richmond leg of the BC Ale Trail. Find an adventure at TBC Indoor Racing. The high-performance karts here do a respectable 65km/h — you’ll fly down an F1-style road course with 13 turns racing up to 11 others, seeing who fares best over six minutes. The best place to discover Richmond’s centuries-long seagoing heritage is in Steveston. Its fishy history goes back to salmon canning days of the 1870s, while today you’ll find locals selling their catch at Fisherman’s Wharf. You’ll be surprised at how much hasn’t changed, and how great that is. Find an adventure like whale watching. Between April and October, hop on a boat from Steveston to the Strait of Georgia, and keep a look out for three local orca pods, a number of other whale species, and some fabulous scenery. Have a bite at Blue Canoe Waterfront Restaurant. Right on the Bayview Pier, Blue Canoe is consistently voted one of Richmond’s best. Stop by for trip-defining snow crab legs, smoked salmon, or mussels marinière. Go back in time at the Gulf of Georgia Cannery. This national historic site was a busy salmon-packing plant from 1894 until its closure in 1979. Take a guided tour and see what salmon canning looked like in the ’30s, the heyday of this culture. Although Richmond is well known for its Chinese majority, expect to find a culturally eclectic range of restaurants and shops — the 2016 census identified over 150 different ethnicities here, and the number is only growing. Find an adventure at the Richmond World Festival. This celebration of Richmond’s diversity takes place in Minoru Park every Labour Day weekend. Expect food trucks, performances, and an awesome artisan market. Don’t forget to bring cash. Have a bite along the Dumpling Trail. Xiao long bao, wonton, siu mai…you name it, the Dumpling Trail’s got it. Go in a group or don your stretchy pants, because 20 restaurants to try means 20 restaurants’ worth of dumplings! Take a break at the International Buddhist Temple on No. 5 Road. Wander the gardens, admire the traditional Chinese architecture, and breathe deep before your next adventure. For those travellers without copious amounts of dough, Richmond comes through with plenty of places to enjoy, things to do, and food to nosh that won’t break the bank. Authentic experiences should never necessitate a primo price tag. Go back in time in Steveston. Britannia Shipyards, the Steveston Interurban Tram, and London Heritage Farm give a fascinating look into Richmond’s history. Bonus: They’re all free. Have a bite at Xi’An Cuisine in the Richmond Public Market. This is your best bet for a next-level snack while milling around the stalls — check out their spicy wontons and hand-pulled noodles. Take a break at Garry Point Park. Here, you’ll enjoy views of the Fraser River and the Gulf Islands — and don’t miss a visit to the Japanese-style Kuno Garden. There are nearly 2,000 acres of green space to explore in Richmond, with 50 miles of trails in the city alone that connect various parks and beaches — so keep an eye out for that wildlife, wherever you are. Find an adventure on the West Dyke Trail. It’s six kilometers — from Steveston to the Middle Arm of the Fraser River — great for both sunrise and sunset. It’s got excellent mountain and ocean views and loads of birding opportunities. Go back in time at Richmond Nature Park. These 200 acres are the last remnants of a peat bog that used to cover most of Lulu Island. Walk the trails and imagine what the bog’s fragile ecosystem looked like a century ago. Take a break at one of the many local parks. Garden City Community Park is home to the Arboretum, where you can walk trails under a canopy of trees; Minoru Park, right in central Richmond and close to everything, winds past ponds and waterfalls; McDonald Beach Park has stellar views of Vancouver, the YVR flight path, and the water. If none of these suits your fancy, there are 142 more to choose from (you read that right!). The Canada Line of the Metro Vancouver SkyTrain runs from downtown Vancouver to Richmond, terminating either at the airport or right in the city. Your portal to retail therapy starts — and ends — here. Spend the day at Aberdeen Centre. With 160 stores over 380,000 square feet, it’s a cultural melange of East-meets-West, live performances, and hourly musical fountain shows. Have a bite at Yaohan Centre food court via Aberdeen Station. Yaohan was one of the first Asian malls in Richmond, and its food court is still one of the best. Get ready for some tough decisions on what to eat — or go to Osaka Supermarket for some Asian groceries and just buy it all. Shop at McArthurGlen Designer Outlet Vancouver Airport via Templeton Station. This outlet mall features 70+ shops and services at up to 70% off retail — in 240,000 square feet. Sometimes shopping is its own day-long excursion! You can get to almost any part of Richmond by following the city’s 50 miles of cycling paths. Pedal down the open shoreline, speed into the dense, marshy wetlands, or keep to downtown. Choose your scenery like you choose an appetizer, and hit the pavement. Saddle up in Steveston Village. You can actually bike from Steveston all the way to Vancouver, starting on the Railway Greenway and following the old British Columbia Electric Railroad. Of course, there’s more than enough in this district itself to keep you busy exploring. Have a bite at the Flying Beaver Bar & Grill. Ride through Larry Berg Flight Path Park and down Inglis Drive to get there. Sandwiched between the water and YVR’s South Terminal, you’ll have great views while you eat. Take a break on the West Dyke Trail. Great for strollers, dogs, and families (in addition to bikes, of course), this flat trail has views from all sides, picnic areas, and plenty of wildlife, all yours to discover.